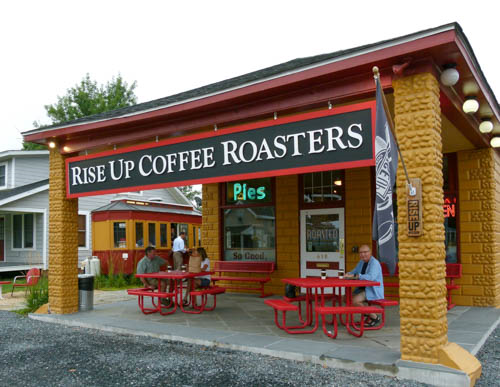 We just have to start with a big shout out to Rise Up Coffee Roasters, Easton's old gas station turned coffee shop, where everyone in town stops in on their way to work for coffee and conversation. We drank our lattes out front, but there's a big back room where you can sit near the huge roasting machine and big burlap bags of beans for real industrial atmosphere. The most shocking history lesson of this history-rich day was the revelation that George Washington was not our first President. 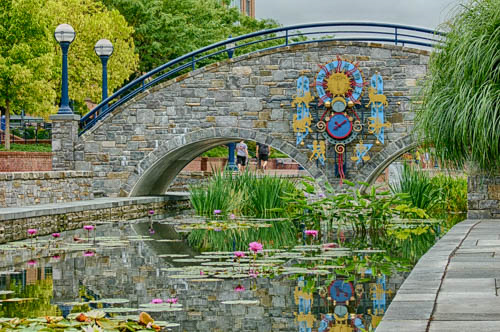 In addition to getting this history lesson in Frederick, we enjoyed a stroll through a linear park there with stone pathways along both sides of Carroll Creek, which has been transformed from little more than a drainage ditch to a water garden full of and colorful water lilies, lotus, and other aquatic plants, with koi swimming lazily below and pedestrian bridges crossing above. 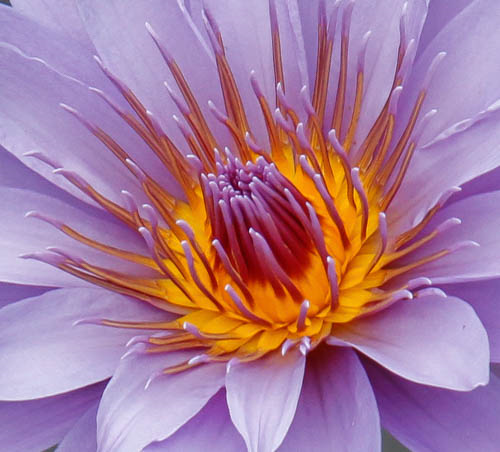 There are fountains, waterfalls, and little gardens with places to sit and enjoy the views along the way. One notable bridge began as a generic cement utility structure carrying two lanes of traffic over the creek. 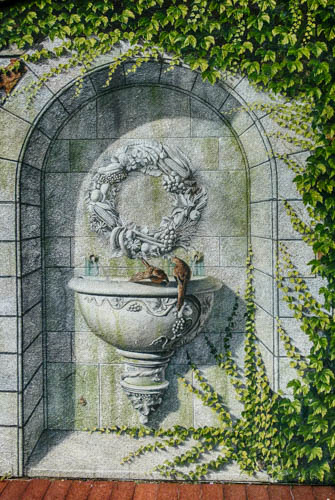 A talented local artist transformed it into a trompe l’oeil masterpiece, painting it to appear to be constructed of stones with many elaborately carved sculptural insets and spots where vines trailed over the stonework. The subjects of the inset pieces were ideas that local people offered in response to the question, "What does community mean to you?" Truly, this park is a community project, and a cornerstone of community pride. 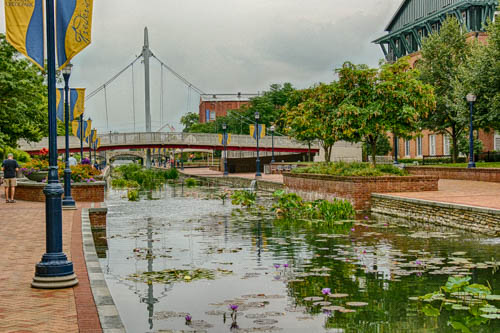 We spent the afternoon on another historic quest, traveling the national road, our country’s first federally financed infrastructure project, authorized in 1806 to connect Cumberland, Maryland with Wheeling, West Virginia. Portions of the national road date back to even earlier times, when British General Edward Braddock blazed a road to secure the frontier during the French and Indian War. 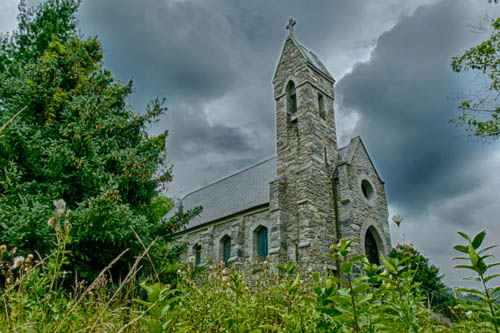 The Dahlgren Chapel, built in 1881 by Madeline Vinton Dahlgren, the widowed wife of the inventor of the gun the warship Monitor used against the Merrimack. The small stone chapel sits in a small mowed segment of a vast field of wildflowers. Across the road is the Old South Mountain Inn, which has been in virtually continuous operation as a travelers’ rest since 1790. 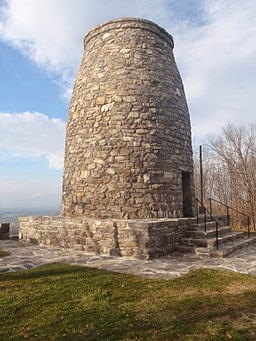 We have dined here on past travels in the area, and have also visited the state park nearby that houses our nation’s first Washington Monument, completed in 1827, predating the famous one in Washington D.C. by 58 years. 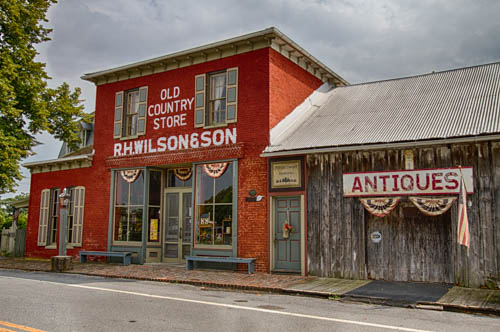 Down the road in Wilson, we stopped in at the Wilson General Store, which contains both historic exhibit items and real items for sale. 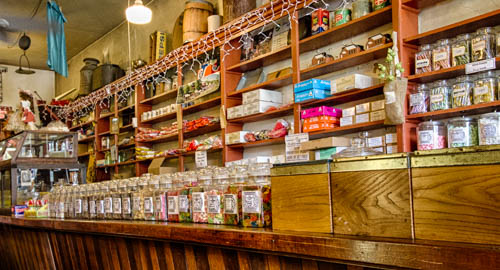 The two are sometimes hard to tell apart, and there was nothing that tempted us to pull out our wallets, including the old-fashioned candy, which may well have been around for quite a few years gathering dust. This place is promoted as “The Store of Three Wonders,” and surely one of those wonders is that it has managed to stay in business so long. 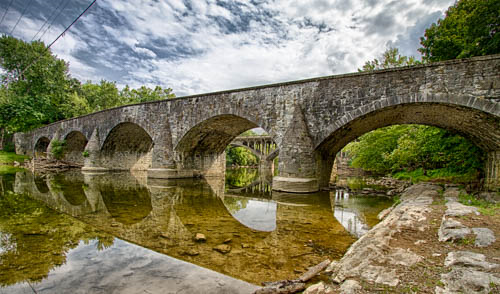 Not far from the store is the oldest stone bridge in Washington County, built in 1819--a beauty! Our national road is lightly traveled, and heavy with history--our kind of drive.